This level has easy difficulty and you need to use good technique to complete this level. 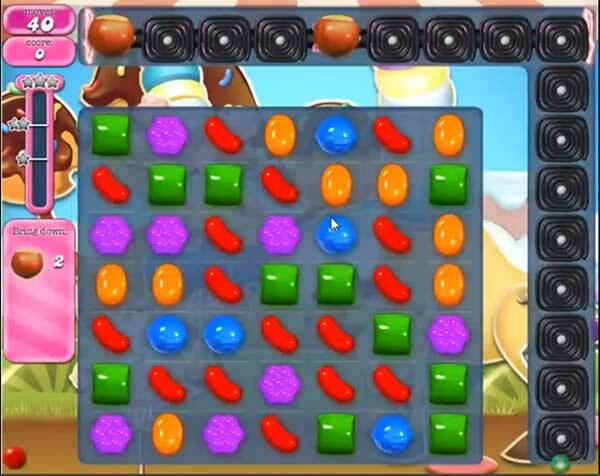 For this level you should try to break the right corner black blockers using the colorbomb with striped candy combo or striped candy with wrapped candy combo to take ingredients to the bottom. When I get on level 532 my ingredients are not at the top. They actually are nowhere on there , what am I to do? I have tired several times. No hazelnuts. How do we get them to show up? I am facing the same problem, played at least 30 times and no hazelnuts. How can I pass level?